I invite seven of my closest friends. We chat about the weather like we always do. I am in the kitchen. They are making sounds typical of people who sit in a sofa made of a material that is not leather. I hand out mirrors so that they can see each other. Someone is at the door. This is when things go wrong. Seven of my closest friends are no longer making sounds typical of people who sit in a sofa made of a material that is not leather. Outside on the porch there is a courier. We chat about the weather. There is no need for a mirror. I sign the package and bring it in. Who was it? It was a courier. What did they want? They brought me a package. What does the package contain? There is no way to tell. I answer these questions as I would any questions. My voice is calm. I am honest about my life. The post office is open from 11 am to 1 pm on Wednesdays. I order a coffee. No sugar. No milk. The courier looks at me. Who is the package for? The next person on the list. Will they find something to open it with? There is no way to tell. Do you want to send it anyway? Yes. I drink my coffee. I go home. The weather follows me. It knows where I live. I was born and raised a long way from Kentucky, but I invest myself. That is what you have to do. I look for meaning, but cannot find it. I want to stay and learn more about these people, but I don’t. There is a package in the back of my truck that needs delivering. The address is along a mythical highway. I might not find it, but I keep trying. That is what you have to do. People talk a lot — in riddles… and in trees. You cannot hear them, but everything is continually transcribed by invisible people who follow you around wherever you go. Just like the weather. They know where you live. 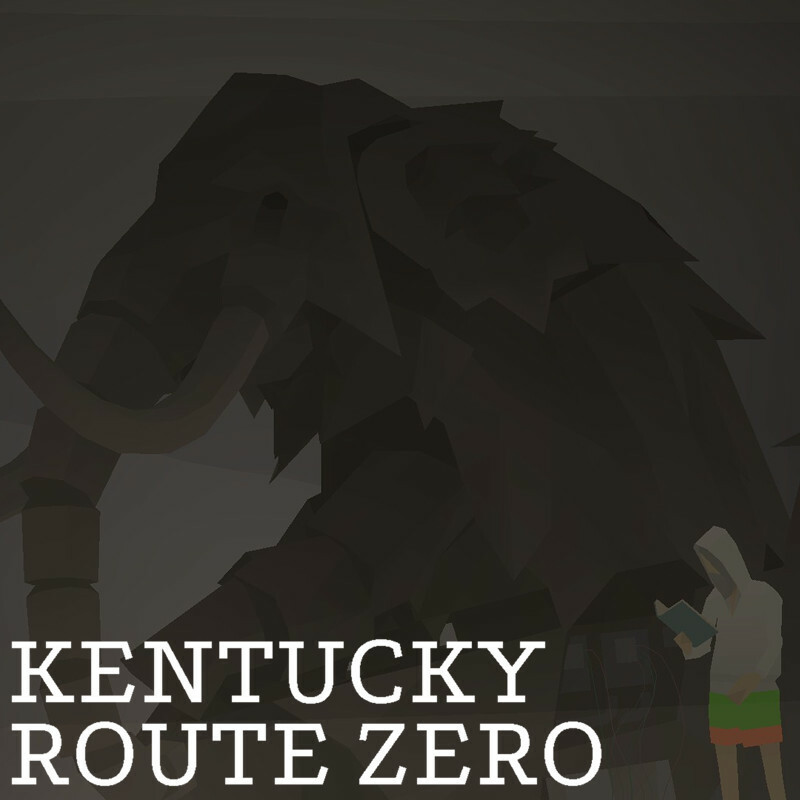 Kentucky Route Zero, acts I-IV by Cardboard Computer is a nice piece of absurdist poetry about the people you leave behind and the people who follows you, all set in a recycled world. The fifth and final act is being worked on (at the time of writing this review). While you are waiting you can look somewhere else for extra content. Posted in Indie, Review.Tagged 2D, absurdism, dialogue, ghosts, philosophy, poetry, real life.